Age: 60. Born: 21 June 1955, in Jœuf, France. Football background: professional football player (1972-1987, AS Nancy, Saint-Étienne, Juventus); international (France, 1975-1987; Kuwait, 1988), manager (France, 1988-1992), co-leader France 1998 organizing committee, UEFA ExCo (2002-15), UEFA President (2007-2015); FIFA Exco (2002-15). PSG fan. Any corruption? Currently suspended by FIFA’s Executive Committee for an improper payment from Sepp Blatter. Allies: Key figures in UEFA including Gianni Infantino, who will quickly drop out if Platini can stand for election. Enemies: Sepp Blatter. 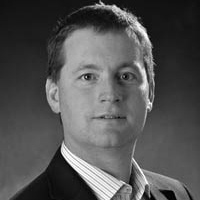 Jerome Champagne (enemy perhaps too strong but certainly there is animus between them). Links to other candidates: Joined at the hip with Infantino. Part of the puppeteer set-up that controlled Prince Ali in last election but now estranged from him. Latest news: 21 Dec Platini, along with Sepp Blatter, banned from all football activity for eight years. 21 Nov FIFA’s ethics committee says investigations into Sepp Blatter and Michel Platini are concluded, and recommendations seeking sanctions for the pair have been submitted. 20 Nov Platini files an ‘urgent’ appeal to CAS over his ban. FIFA has declined to undergo an “integrity check” of Platini, which is required of all official presidential candidates, due to his current suspension. He was not among the declared candidates on 12 November here. Sources also suggested on Sunday 15 November that a multi-year ban for Platini is imminent. For latest news on all candidates click here for TIMELINE on resources page. “I’m bullet-proof.” That is how Michel Platini, then president of UEFA and leading candidate to replace Sepp Blatter at the helm of FIFA, characterised himself in October upon learning that FIFA had suspended him for 90 days. Platini’s suspension, which coincided with that of Blatter, focused on the circumstances of a 2011 transfer of CHF 2 million to Platini from FIFA. Platini’s suspension bars him from any football-related activities which means that for the first time since 1973, when he was 17 years old and joined the first team of French club Nancy, Platini was not involved in top-level football. Arguably, Platini’s association with football went back much further. His father, Aldo, was an Italian professional footballer who immigrated to France after World War I, where he became a director at AS Nancy. Aldo is also known for spotting a talented young coach named Arsène Wenger and helping to launch his career. The successful World Cup, coupled with powerful patrons, led to positions as the vice-president of the French Football Federation in 2000 and membership on both the UEFA and FIFA executive committees in 2002. He was elected UEFA president in 2006. Platini’s ascension to the top of the football world seemed inevitable. In 2008 Platini explained his philosophy: “I’m only interested in doing the right thing for football.” That commitment was put to the test in November 2010, when FIFA’s executive committee met to select the hosts of the 2018 and 2022 World Cups. Nine days before the vote, Platini was invited by French president Nicolas Sarkozy to lunch at the Elysée Palace. Platini explained: “I’d assumed that it was going to be just me and Sarkozy.” There was a surprise guest in attendance, Qatari crown prince Sheikh Tamim bin Hamad bin Khalifa Al Thani. 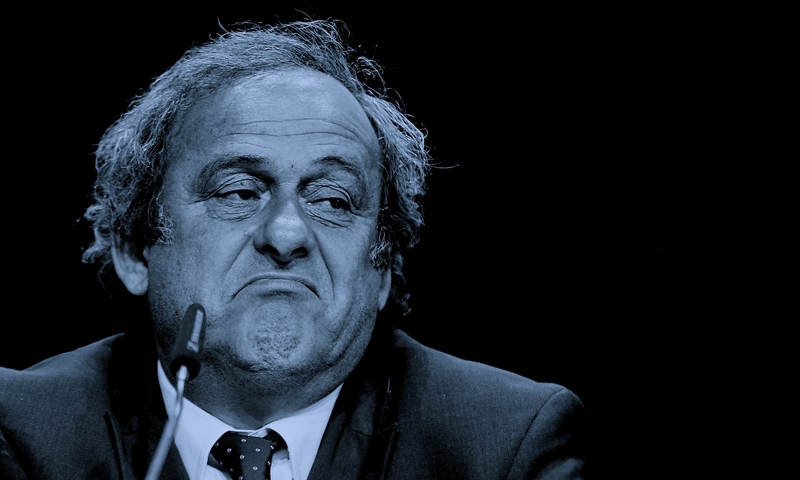 Platini later recalled: “I suspected that Mr Sarkozy might want me to vote for Qatar.” Platini did, he admitted publicly, in fact vote for Qatar, changing from an earlier preference for the USA. Allegedly, Sarkozy’s encouragement may have been motivated by several interests. Platini later explained: “I knew Sarkozy wanted the people from Qatar to buy PSG [Paris St. Germain, the club that Sarkozy supports]”. In 2011, the Qatari government investment fund paid 50 million Euros for PSG. The Qataris also created a new French television sports channel – beIN – to compete with Canal Plus, which was not well liked by Sarkozy, according to reports. The Qatari investment has made PSG one of the world’s richest sports teams. The selections of Russia and Qatar by the FIFA executive committee in December 2010 and the revelations about corruption associated with that vote set off a chain of events culminating in the ongoing investigations of global football by the US Department of Justice and Swiss Federal authorities. Platini has been a victim of the investigations. He successfully weathered an allegation that he had accepted the gift of a Picasso painting from Vladimir Putin in exchange for his vote in support of Russia. However, when it was revealed that Sepp Blatter had paid Platini 2 million Swiss francs for work allegedly done years before and improperly accounted for by FIFA, that revelation proved too much to survive. The newly motivated FIFA Ethics Committee suspended them both, and the former mentor and student, now bitter enemies sparring in public, were on the outside looking in. As I write this in mid-November 2015, Sepp Blatter has been in the hospital with stress-related health problems, while Platini is seeking to rejoin the FIFA presidential race. FIFA has placed him in limbo and is not going forward with his announced candidacy until the allegations levied against him by the FIFA Ethics Committee are resolved. Platini may yet survive the allegations against him, and enter the FIFA presidential race, and perhaps even win the election. Or his days in football may be over. We shall find out soon how “bullet proof” he actually is. For Michel Platini, as with FIFA, everything hangs in the balance.